Please follow this guide when signing your Will. Who May Witness Your Will? Your Witnesses must be 18 years of age or older. DO NOT USE your Executors, Trustees, Guardians or their spouses. DO NOT USE a beneficiary to your Will or their spouse. Turn to the signing page of your Will. Date your Will as shown overleaf. Sign your Will with your usual signature. 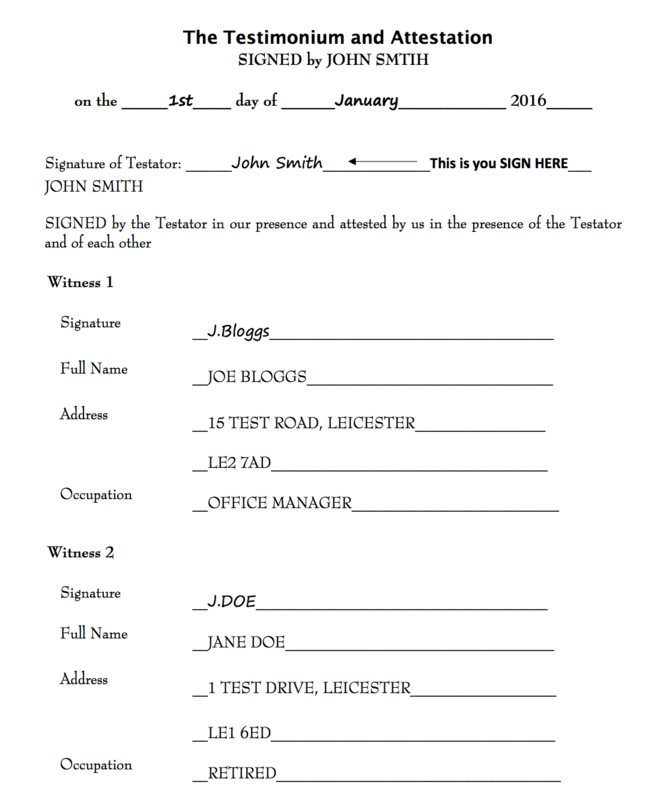 Your Witnesses must now sign, print their FULL name, occupation and address. If your make an error DO NOT USE correction fluid (i.e. Tipex), instead phone us on 0345 2600 600 for guidance. Please do not under any circumstances attach anything to your Will, i.e. paper clips etc. as this may invalidate them.